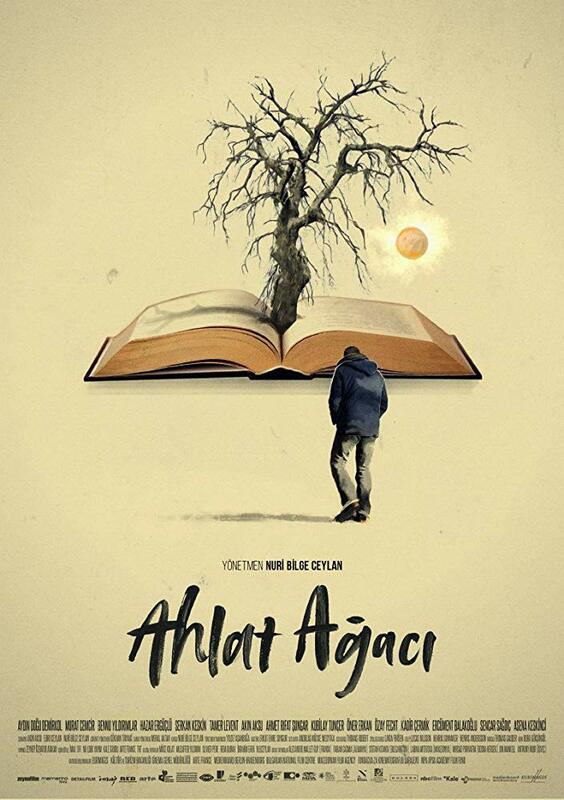 “The Wild Pear Tree” is the latest three hour epic from the Turkish film making genius, Nuri Bilge Ceylan. Similar in form to his previous film, “Winter Sleep”, it is once again a very dialogue heavy human drama, this time about a young man returning home to his childhood town to attempt to get his first novel published. Prior to my screening of the film, I had read that the film was a tough watch, mainly due to its length, but personally I found that not to be the case at all. While I agree that focusing on a film for that amount of time can be challenging, I was immediately drawn into the characters plight, thanks to Ceylan's sensitive and intimate direction. 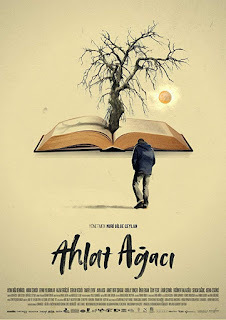 After completing his collegiate studies in the city, Sinan returns to his hometown of Cannakale to attempt to get his first novel published, while also trying to find work as a primary school teacher. Upon his immediate arrival, Sinan is politely harassed by a local claiming that Sinan's father borrowed gold off of him and has yet to return it. In the coming days and weeks, this is something that he hears regularly as his father has a gambling addiction, particularly when it comes to the horses. This addiction causes tension within the family, at its simplest, on a day to day basis when bills do not end up getting paid, and food is unable to be bought. However, the tension between Sinan and his father, Idris, seems more explosive as Sinan shows outright contempt towards the man who brought him up and supported him his whole life. As Sinan struggles to find financing for his novel to be published and getting a job much harder than he expected, he starts to realise that maybe he is more like his father than he once thought, and that the lifestyle of Cannakale is forever in his blood. This is such a magnificent film from Nuri Bilge Ceylan. While the running time is definitely intimidating, I must say that I was mesmerised by the film right from the opening minute and was never bored at all. With both this and “Winter Sleep”, Ceylan has proven that he is a master of time, space, pacing and coming up with the most amazing scenes of conversation between characters that you are forever invested in. These scenes are much longer than the norm and yet the audience hangs on every word the characters are saying. After watching the behind the scenes footage of Ceylan filming “Winter Sleep”, it shows just how meticulous he is with his actors and of every line of dialogue, both in the way it is said and in what the dialogue ultimately means. He will take his time and only move on until he feels each scene is perfect and most importantly that it is a reflection of reality. Every moment has to be truthful. Once again, he has displayed this skill ad nauseam in “The Wild Pear Tree”. A broad and fair description of the film would be to state that it is a series of long conversations between Sinan and a number of other people discussing numerous topics that fully form his character for both the audience and himself. The many topics range from love, friendship, religion, beliefs, politics, money and art, and through these conversations we understand exactly who Sinan is. This is a very dialogue heavy film, but it is amazing just how natural all these conversations feel and how invested you become in them. Each word seems to have a point, as does each conversation. There was only one that I felt could've been removed, and stopped the film in its tracks a little (which I will mention a little later on), but in isolation, the scene itself is brilliant. Another of Ceylan's many gifts is that he is able to give us complex and potentially unlikable (and definitely prickly) characters, that we still end up caring about. To be honest, I found the main character of “The Wild Pear Tree”, Sinan, to be an arrogant prick for the most part. This arrogance is something that flares up regularly when he interacts with the locals as he sees himself as somewhat better than the people living in the same town he, himself, grew up in. Now that he has got himself an education, and what he assumes is a better future, you can feel he has some sort of superiority complex to the townspeople. This is ironic as the novel that Siman has written (which he has titled “The Wild Pear Tree”), he describes as a celebration of the simple lifestyle of Cannakale and of the people that work and live there. While Cannakale is known for being the gateway of the Gallipoli battle in WWI, and the Trojan Horse from the battle of Troy, Sinan believes that the little people and normal folk going about their daily business should not be forgotten either and should be documented as well. However it is this lifestyle that Sinan feels above and better than, so it would be fair to say that his writing is doomed to failure because it does not come from a sincere place. Like I said above, his arrogance is so frustrating that you want to slap him and make him respect the people he is talking to, and yet we are always invested in his plight. The man cast to portray Sinan is Dogu Demirkol, and he gives a phenomenal performance, full of many complexities but always based in a reality. He is true to this character and lets him be unlikable at times. The most amazing thing about this is Demirkol is actually a stand up comic but his comedic origins are never hinted at in the movie and his performance. He totally embodies Sinan. In fact the entire cast is amazing in “The Wild Pear Tree”. I honestly do not remember anyone putting a foot wrong, or a scene feeling off because of a performance. The other actor I really do want to make mention of though is Murat Cemcir, who plays Sinan's father Idris. The father is another flawed character but Cemcir gives a beautifully humanistic performance and never once judges his character. He makes mistakes, a lot of them in fact, but he is a man that loves his family and particularly his son who just cannot seem to find his way out of his addiction. While his life is tough at times, Idris always seems to see the positive side of it, constantly smiling and at times chuckling. As the film goes along, it is very obvious (at least to the audience) just how similar Sinan is to his father in a lot of ways, and this is part of the journey Sinan must take and learn to accept. “The Wild Pear Tree” is Nuri Bilge Ceylan's eighth feature film and at this point of his career it is obvious that the man is also quite the visual stylist. While his earlier films were modest from a visual standpoint, something changed when he partnered with cinematographer Gokhan Tiryaki on his fourth film, “Climates” from 2006. This is the pair's fifth collaboration and their images continue to be something to behold. From their use of the widescreen to show off Turkey's amazingly vivid landscapes, as well as their perfect use of close ups, the images created by these two men are world class and this continues with “The Wild Pear Tree”. This time around they work with a lovely autumnal colour pallet filled with yellows, oranges, browns and greens. There are also a few scenes that take place during winter which obviously reminds of the work and snow-caped images from Ceylan's previous feature, “Winter Sleep”. This is a seriously good looking film and easily identifiable as a film from Nuri Bilge Ceylan. With a running time of 188 minutes, you would think that surely there must be some bad in the film, but really there is not. Every scene feels like it belongs, and every word important. There are so many wonderful conversations and scenes that take place in the film but a couple of my favourites were the early scene between Sinan and Hatice, a female friend, that ends in a kiss, and a long scene where Sinan converses with a published author from the town. This scene ends on a hilarious and hysterical note too. Very early in this review I did mention that I thought maybe one scene could have been removed and that it stopped the film in its tracks a little. The scene in question is when Sinan talks to two imams about religion, faith and particularly Islam. What is funny about the scene is that the imams differ quite a bit in age which also affects their beliefs even though they are practising the same religion. On it's own, the scene is brilliant. Beautifully written and performed, very interesting subject matter and like I just mentioned, it is a scene that is also quite humorous. It is also an incredibly long scene, and I felt that at that moment on in the film, it slowed the momentum down of Sinan's ultimate journey. Also the fact that Sinan himself isn't a huge devotee to religion, I felt that in the story's context, it seemed less important than the rest of the film. Do not get me wrong, I absolutely loved the scene, but it was the only time I thought this “could” go, not necessarily that it “should” go. Overall, “The Wild Pear Tree” is another magnificent film from Turkish director Nuri Bilge Ceylan. Full of complexities and characters of all shades, it has been expertly written, directed, acted, shot and edited. While the main character is somewhat unlikable, his journey back home is a powerful one, as he comes to terms with the fact that he may not be as far removed from his father and the town he grew up in as he originally thought. While I understand that the film's extended running time can be intimidating, my advice is if you get the chance to see “The Wild Pear Tree”, do not miss out on it. It is a fantastic film experience.